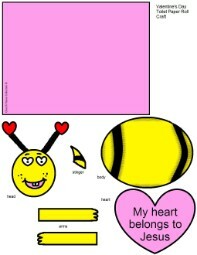 Bee Template 1 "My Heart Belongs To Jesus"
Bee Template 2 "Happy Valentine's Day"
Just print the bee template out. We have three different templates to choose from below. Color the picture before you cut it out. Cut all the pieces out. Tape the square body around the toilet paper roll tube and glue the back or tape it. Add the bee's body to the front and his head. Add his little stinger to the side of him. Tape his arms on and fold them over and tape the heart to his hands. 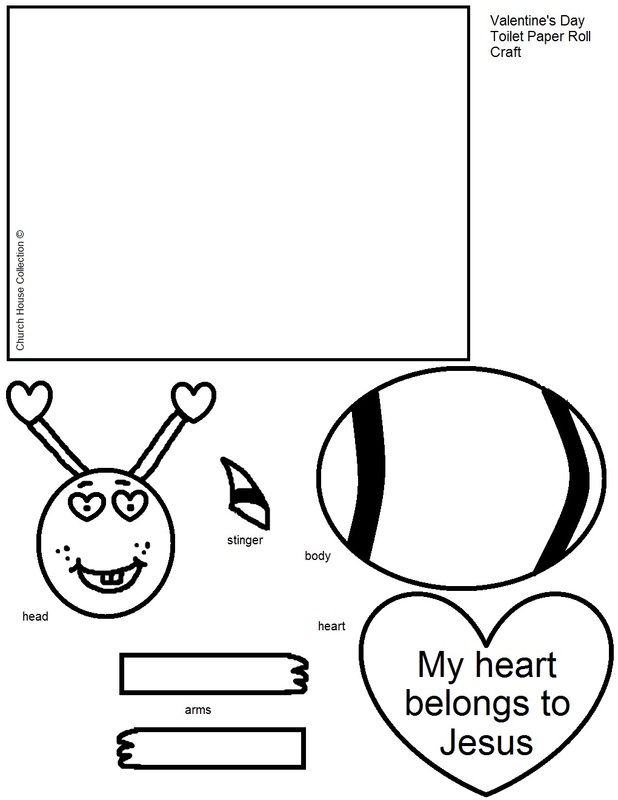 Use this fun craft to go along with our "My Heart Belongs To Jesus" Sunday School Lesson. 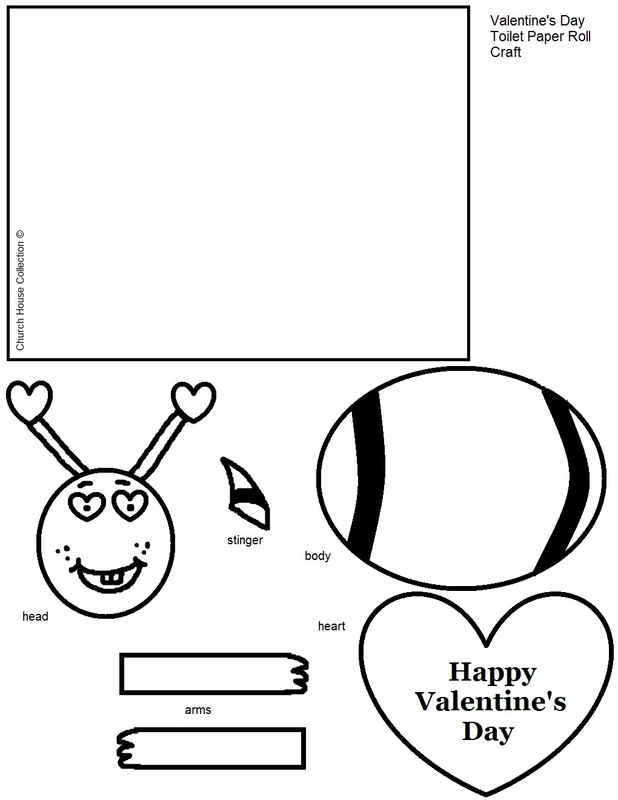 Make our Valentine Bee Snack that goes with it.